Billy Goat Saloon owner Ashleigh Tarkington tends bar while talking to a client who would give his name only as Thunder. The bar, which was once named one of the top 50 bars in America by Mens Journal magazine is the Dive Bar Shirt Clubs bar of the month for January. 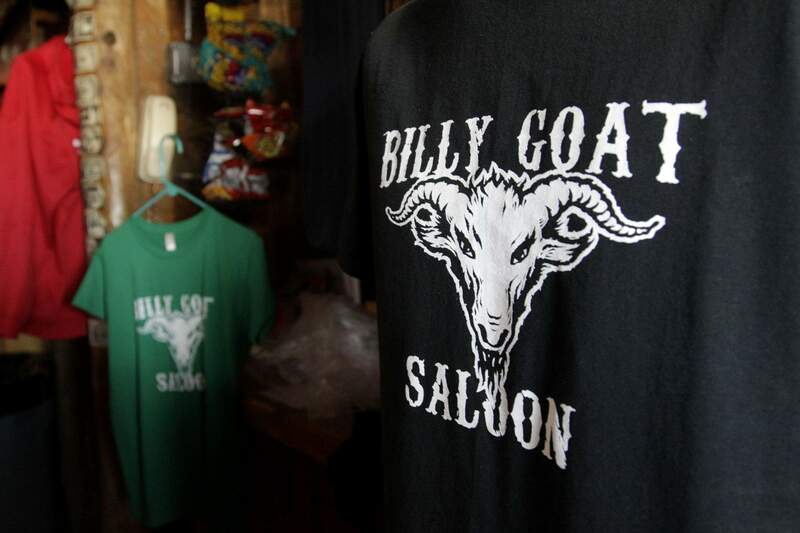 More than 5,000 global members of the Dive Bar Shirt Club will receive a Billy Goat Saloon T-shirt this month. 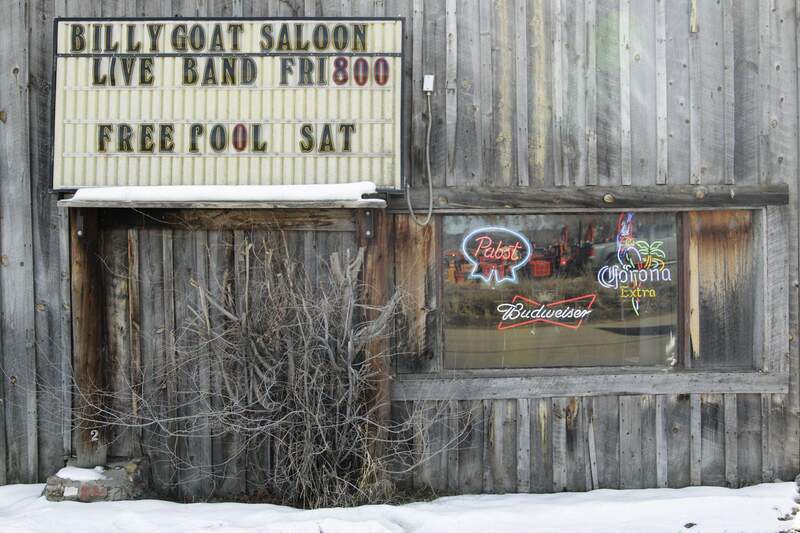 The Billy Goat Saloon has been a local favorite in Gem Village for 30 years. 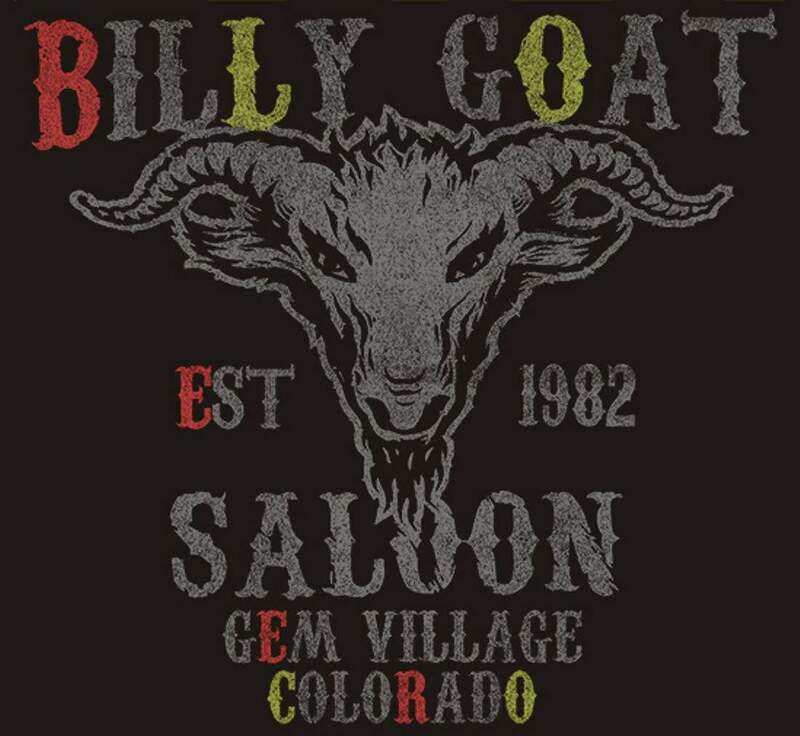 Members of the Dive Bar Shirt Club will receive this modified version of the Billy Goat Saloon T-shirt during the month of January. Its remarkable that Bayfield has a suburb, but Gem Village achieving international fame is just crazy. Its next to impossible to estimate how many bars there are in the U.S., but a million seems about right. That makes it a million-to-one shot (by an English majors math) that the Billy Goat Saloon was picked as the Dive Bar of the Month by anyone, let alone a group that does this for a living. The cyber organization www.divebarshirtclub.com has an interesting mission. The Dive Bar Crew picks a new dive bar every month in the country  either by dumb luck through its own travels, or on the recommendation of its trusted membership. Members of the website receive the T-shirt from that bar much like a book-of-the-month or wine-of-the-month club. The club has chosen past winners from Honolulu to Atlantic City, Houston to Seattle and everywhere in between. In January, club members from coast to coast and around the world will be wearing the colors of the Billy Goat, which is celebrating its 30th birthday this year. Owner and Fort Lewis College graduate Ashleigh Tarkington took over the bar in 2004 from Bob and Ellen Asher, who purchased the building in 1979 and opened under its current name in 1982. Tarkington admitted to a bit of self-promotion; she saw the Dive Bar Shirt Club ad a few months ago in Rolling Stone magazine and nominated herself. They said: We love your story, lets do this, Tarkington said. She said Billy Goat T-shirt sales always have been a moneymaker for the bar  she sold out of inventory in December before Christmas  but shes bracing for more. Dive Bar Shirt Club founder Cody Shoemake said the site has more than 5,000 members in 28 countries worldwide. He and his friend Mike Edwards started the company about three years ago. They run it from a small shop in Key West, Fla.
Shoemake and Edwards use the logo of the bar and add a few details for members that arent always included on the local version  primarily where the bar is located and when it was established. Once the run of shirts are gone each month, theyre retired on the website. Current shirts cant be viewed on the site until theyve been retired (membership has its privileges). Tarkington said Shoemake told her to expect the orders to keep coming long after January. He advertises in many national publications including SkyMall, Maxim and other magazines, so there are a lot of eyes on the featured bars. The Dive Bar Shirt Club selects a different bar each month, and members receive a T-shirt from the selected establishment. 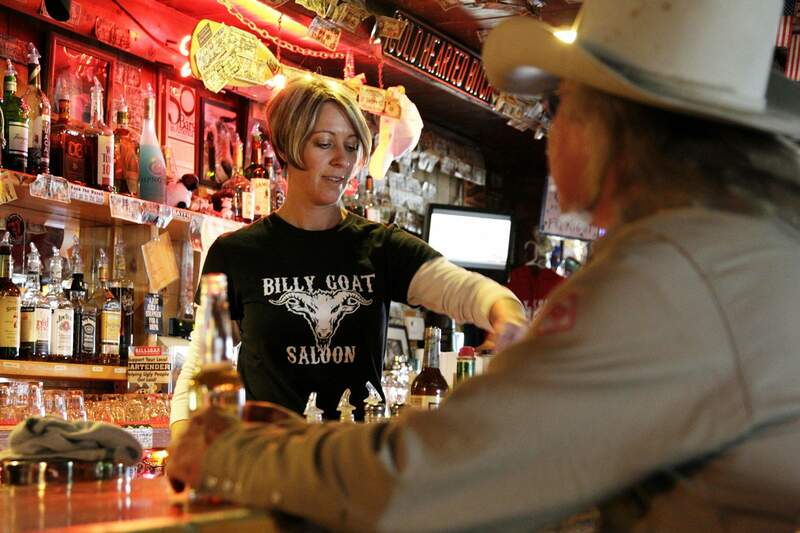 The Billy Goat Saloon in Gem Village is the January bar of the month. Membership information and a gallery of retired T-shirts is available at www.divebarshirtclub.com. The original shirts are available at the Billy Goat, 39848 U.S. Highway 160, or online at www.thebillygoatsaloon.com.